the velvet bird: Grandma's Sugar Cookies! Dear friends, I have decided to share with you the most delicious recipe for sugar cookies. Ever. This might just be my biased opinion though. 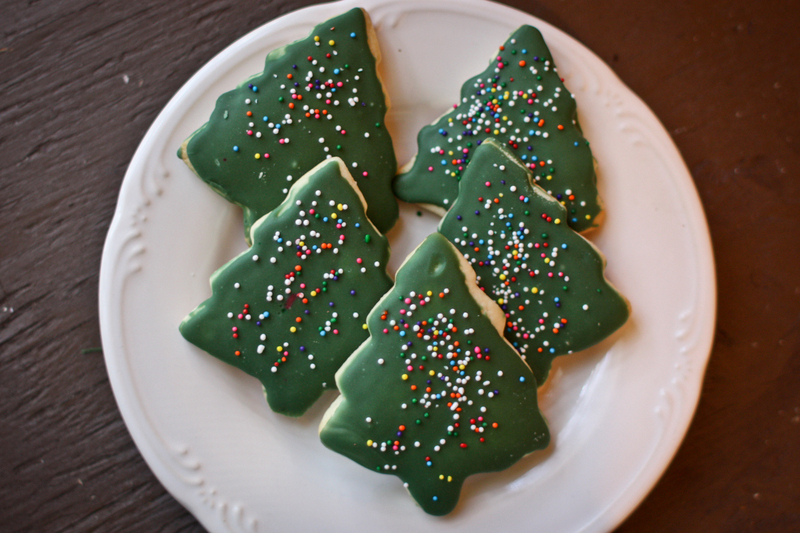 I think possibly multiple times every Christmas I have eaten/decorated/baked these cookies. They have just become known as "Grandma's cookies" because, you guessed it, that's where the recipe came from. They are the perfect texture- soft but can hold up to being decorated and stay good for quite awhile. I would like to point out that they contain shortening, which I pretty much avoid using completely. But I figure once a year isn't really that big of a deal... so enjoy!! Roll out dough on a floured surface and get out the cookie cutters! p.s. I used this frosting recipe, it is awesome. It's really easy to use and the tops dry to a nice smooth finish, so you can stack them up and not have a frosting mess. oh so perfect! i'm going to try them for sure. these look delicious! i'm definitely going to have to try them out. i've been looking for an icing that dries like that. i hate it when my cookies all stick together! Oh, lovely! 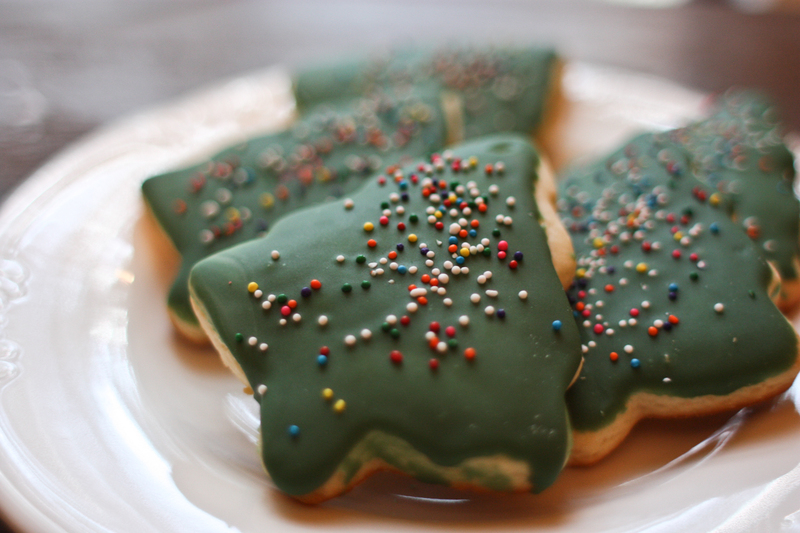 There is nothing better than amazing sugar cookies for Christmas. I must try this! I'm definitely tucking these away in my recipe stash. Christmas is the perfect time of year to go baking crazy! Oh my lanta this looks DELISH!! how did you know I was thinking of baking for breakfast? I'll remember this recipe for the next time I make sugar cookies! these look so amazing! i was just thinking i need to bake cookies and i am most surely going to bake these!! My momma made a huge batch of sugar cookies every Christmas for us kids to decorate!! Oh, how I miss that. Even if I have to just buy some store-bought dough for time's sake, I may have to just make a batch, just like old times! Ich habe das Rezept ausprobiert! Es ist sehr einfach, die Kekse schmecken toll und sehen absolut genial aus.